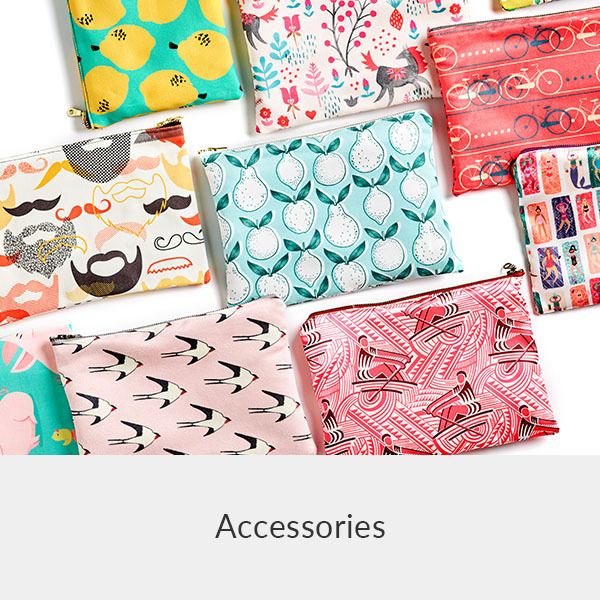 Did you know Spoonflower has over 20 different fabrics? Long-gone are the days when cotton was your only option in the fabric menu! Whether you’re looking for linens to dress your table or organic options to dress your kids, there’s a fabric (and design!) for that. 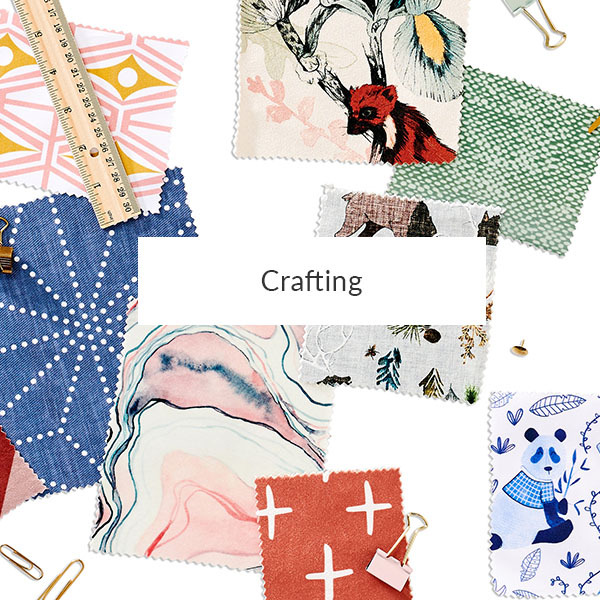 Take our quick survey to learn more about the fabrics most suitable for your next DIY project. And don’t forget about our wallpaper. 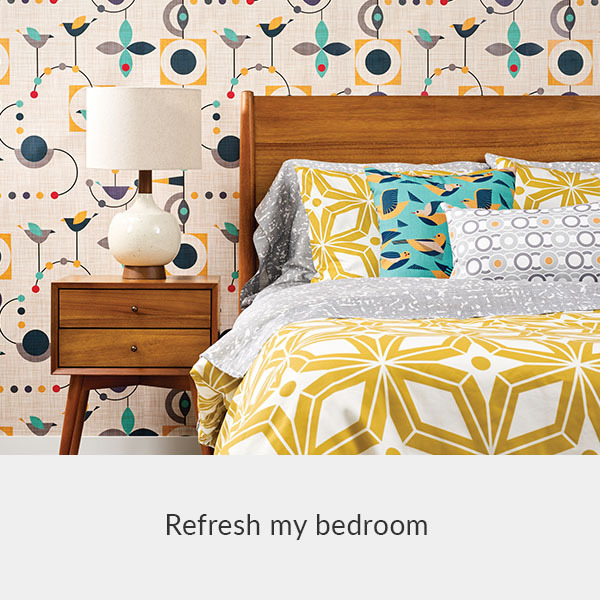 While the projects listed below use fabric, you can’t go wrong with a wallpaper refresh. Ready to find out which fabric is best for your project? How will you be using your fabric? Looking for a placemat with an added touch of elegance? The subtle sheen and soft hand of Organic Cotton Sateen will do just that! Characterized by a beautiful texture, this midweight fabric is one of our most versatile offerings and is a great addition to any tablescape if you’re looking for a placemat with structure. 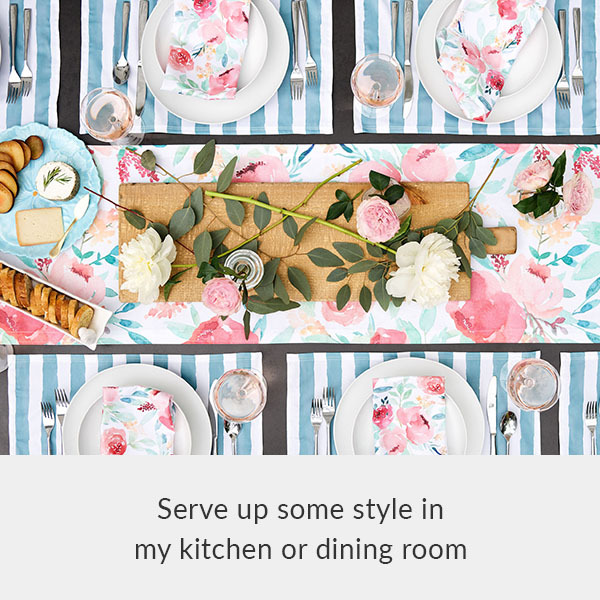 Made from 45% recycled content and printed using ecologically-safe transfer sublimation inks that provide vibrant color and strong wash durability, this is the perfect choice for placemats that need to stand up to nightly dinners with the entire family. For a napkin with a little “oomph,” go with the community-favorite Linen Cotton Canvas. Thanks to the sturdy, textured weave, this midweight fabric is one of our most versatile options! Impress your dinner guests with napkins that shine! The sheen in Sateen paired with the 100% certified organic cotton will make your napkins a showstopper. This luxe, heavy cotton sateen will elevate your dining table with a splash of one-of-a-kind pattern and color. The durable, wrinkle-resistant fabric makes it an ideal option for the hostess with the mostess. Order ready-made tablecloths from Roostery or get access to this exclusive, 116” wide fabric by the yard by becoming a PRO member. This tried-and-true fabric is a community favorite when it comes to making tea towels. Characterized by a beautiful textured weave hand, this midweight fabric is one of our most versatile offerings. Bonus: make four tea towels from one yard of linen! This natural, heavy cotton sateen can add an instant splash of color and pattern to your dining table. Showcasing a beautiful, structured drape and rich color, this is the perfect fabric for creating classic cotton runners. Order ready-made runners from Roostery or get access to this exclusive, 116” wide fabric by the yard by becoming a PRO member. Imported from Italy, this 100% cotton sateen is known for its delicate drape and subtle sheen. Don’t let the wash durability fool you – this dreamy fabric is ideal for custom duvets, comforters, quilts and sheeting. Order custom bedding from Roostery or get access to this exclusive, 116” wide fabric by the yard by becoming a PRO member. For a more luxurious look with less light peeking through, Celosia Velvet is the answer. For a lighter option to get your daily dose of Vitamin C, you can’t go wrong with Organic Cotton Sateen. If you’re looking for a set of curtains that has a natural feel, linen cotton canvas is your answer! The matte finish is great for both cozy and formal areas. For a sheer curtain that lets the light in, give our Chiffon a try. The airy fabric has a delicate and airy drape that will elevate any space. Warning: this blanket will be swoon-worthy! The luxurious and plush Celosia Velvet is a showstopper thanks to its unmistakably vibrant color. The durability of this blanket will withstand the test of time. This fabric is incredibly soft and silky with slight stretch. If you’re looking for a lightweight plush throw, Minky is the fabric to cuddle up to! 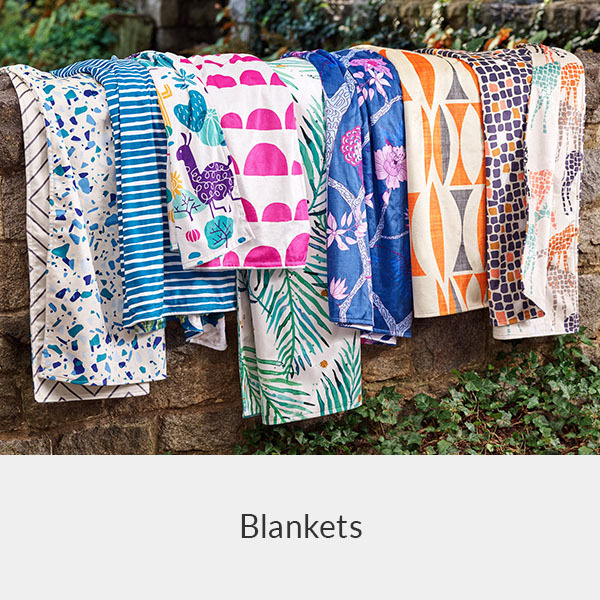 Lightweight and slightly stretchy, Spoonflower’s double-faced, low-loft fleece is perfect for blankets (including no-sew tie blankets). 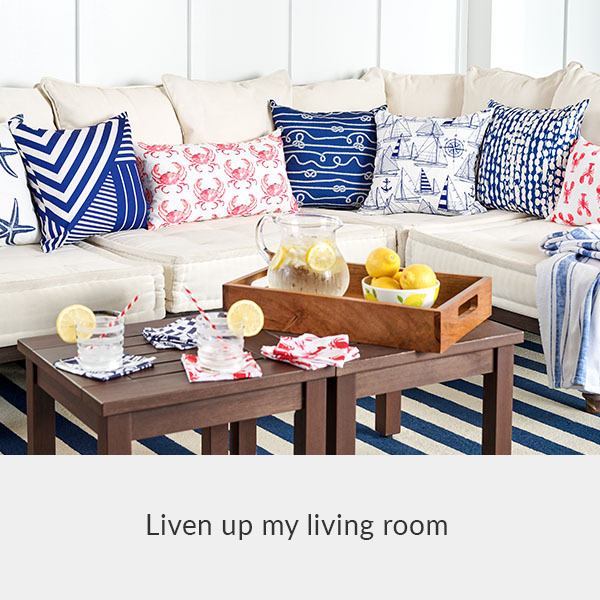 Are you looking to add handmade pillows to a sun porch or recreation room? This upholstery-grade canvas (made from 45% recycled materials) known for its vivid, crisp color, is ready to take on the challenge. For a natural fabric option, look no further than Organic Cotton Sateen. 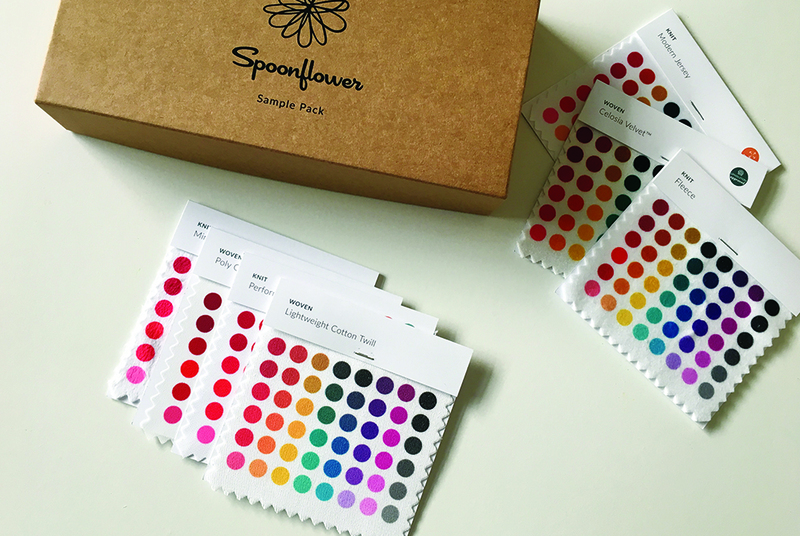 Known for its soft hand and vivid luster, this organic option is a Spoonflower classic. Are you looking for a fabric that’s bright, silky and soft? Look no further than Silky Faille. The smooth, matte-finish synthetic fabric will take your handmade pillows to the next level. If you’re looking for a pillow that will steal the show, then Celosia Velvet is the way to go. Known for its elegant shine, this upholstery-grade fabric will add bespoke luxury to your space. Want a pillow with a little texture? This upholstery-grade 100% cotton canvas features a sophisticated basketweave structure and offers rich color, fine detail and an enviable gently weathered look after the first wash.
Are you looking for a fabric that is downright durable? Dogwood Denim is the way to go! Great for projects like pillows that will be getting plenty of use, this upholstery-grade 100% bull denim fabric is ready to take on the challenge. If you’re looking for a couch or chair that will steal the show, then Celosia Velvet is the way to go. Known for its elegant shine, this upholstery-grade fabric will add bespoke luxury to your space. Want your furniture to have a with a little texture? This upholstery-grade 100% cotton canvas features a sophisticated basketweave structure and offers rich color, fine detail and an enviable gently weathered look after the first wash.
Made from 45% recycled content and printed using ecologically-safe transfer sublimation inks that provide vibrant color and strong wash durability, this is the perfect choice for upholstered furniture that needs to stand up to everything from family movie night to lazy Sundays. Are you looking for a fabric that is downright durable? Dogwood Denim is the way to go! Great for projects like reupholstering a thrift store sofa that will be getting plenty of use, this upholstery-grade 100% bull denim fabric is ready to take on the challenge. This lightweight and semi-sheer option is ideal for flowy blouses that showcase a soft drape and delicate hand. For a less sheer fabric, be sure to choose a design with a darker background. Is your closet missing the perfect weekend tee? Featuring 100% GOTS certified organic cotton with a 2-way stretch, this knit option is perfect for cozy apparel. Taking your sewing to the next level with a me-made button-up blouse or men’s shirt? The subtle sheen and soft hand of Organic Cotton Sateen will make any top stand out in your closet. Made from 100% woven cotton, Lightweight Cotton Twill is great for pants that require a little more structure without feeling too heavy! Find design inspiration from our new favorite color palette: blush, rust and blue. Have you been eyeing indie-sewing pants patterns like the Persephone or Lander Pants? Dogwood Denim is heavy and rugged, while still being sophisticated and softens up in the wash just like your most-loved pair of jeans. Looking to wear me-made to your next formal event? This lightweight and semi-sheer option is ideal for dresses that require a soft drape and delicate hand. 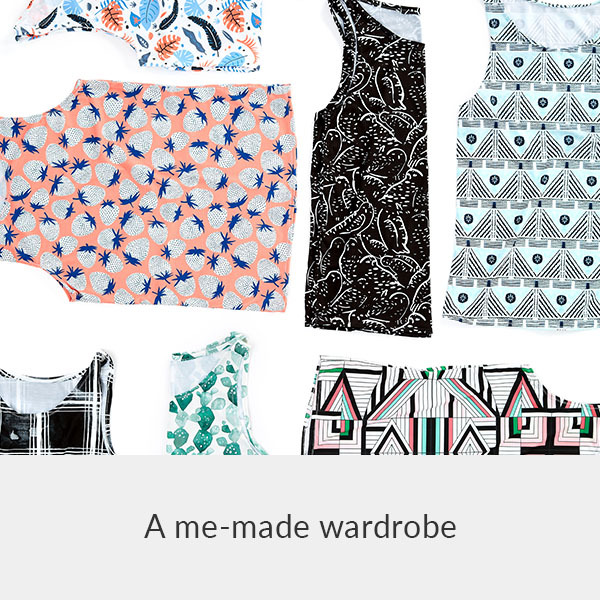 Get ready to turn heads in your handmade garment! If you’re always on the go, Modern Jersey is ready to keep up! 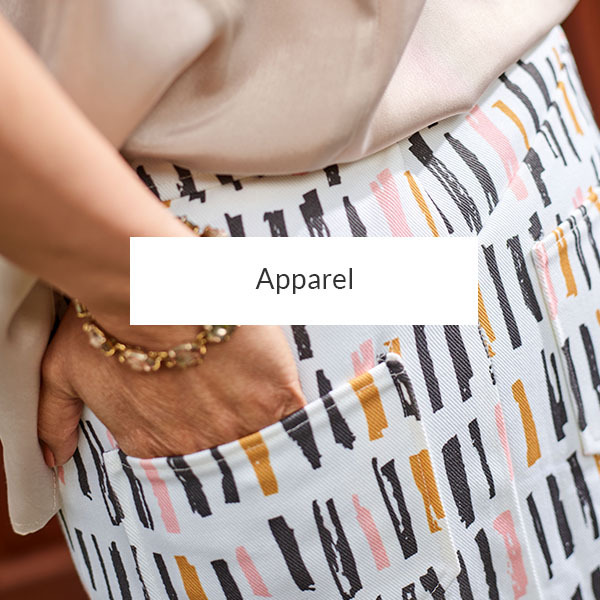 Great for easy-to-wear summer dresses (hello, travel outfit), this 4-way stretch fabric with a cotton-like feel makes Modern Jersey a customer favorite for comfortable apparel. Are you jumping on the jumper trend? For a jumper dress with a little structure, this 100% woven cotton is the perfect pick. Bonus: it softens up after each wash! For medium-weight skirts, you’ll fall in love with the Lightweight Twill. Made from 100% woven cotton, this twill is perfect for skirts that require a little more structure without feeling too heavy. For a skirt that requires a heavyweight fabric, give Dogwood Denim a try! It’s durable enough to withstand weekly wear, but softens up in the wash just like your most-loved pair of jeans. Does your fabric need to stand up to weekly workouts at the gym? The moisture-wicking and soil-release finish found in this 100% polyester knit is ready to tackle anything from race day to rest day. Are you ready to make a statement when you walk into a yoga studio? We can help! This durable knit fabric has quickly become a community favorite for me-made athletic pants, thanks to vibrant colors and 4-way stretch. This durable 4-way stretch knit fabric is made up of 88% polyester and 12% Lycra. Sport Lycra features vibrant color that stands up to swimming pools and saltwater alike, making it the perfect choice for custom swimwear. If me-made undies are your style, you’ve got to give Cotton Spandex Jersey a try. The soft and delightfully stretchy knit fabric is made from 93% cotton and 7% spandex and continues to soften up after every wash.
For a natural option that is lighter than Organic Cotton Knit, give our Cotton Spandex Jersey a try! The 4-way stretch (93% cotton + 7% spandex) in this fabric means it’s kid-tested, parent-approved. Are you looking for a fabric that is ready for around-the-clock adventure? Printed with an eco-friendly process, the 4-way stretch Modern Jersey is ready to withstand countless trips to the washer after long days of playing. If a natural, organic fabric is what you’re looking for, then Organic Cotton Knit is your answer. A customer favorite for toddler leggings, the 2-way stretch knit will soften up over time. Known for its crisp, smooth hand, Cotton Poplin is a great natural option for button-ups and blouses for special occasions like birthdays and holidays. Looking for a fabric that’s equal parts rugged and relaxed? Lightweight Cotton Twill, woven from 100% cotton twill, is structured yet moveable and is ideal for projects such as dungarees or blazers. 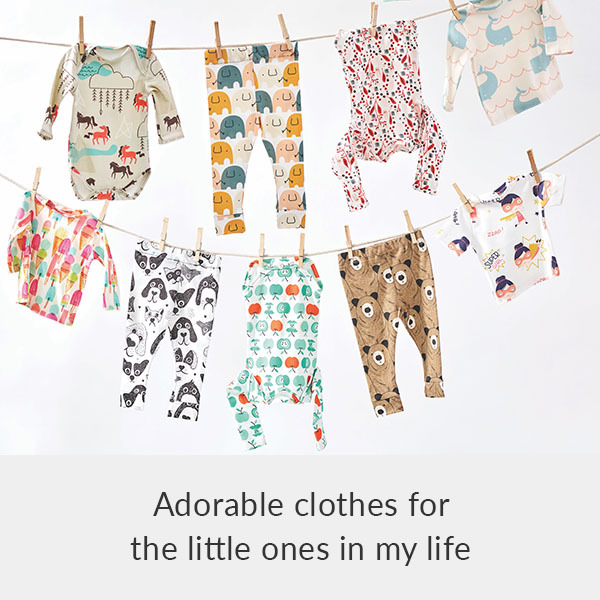 Does your little one love to lounge? 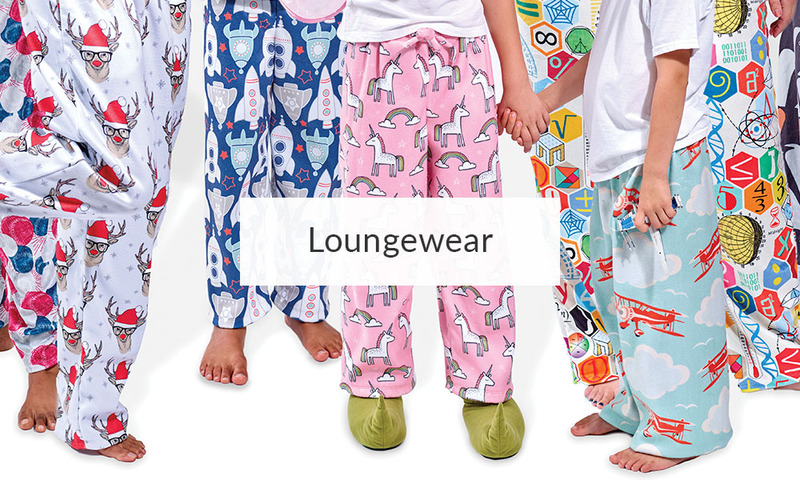 They’ll be ready to kick back in double-faced, low-loft fleece pants. The lightweight and slightly stretchy fabric makes these pants lazy day-approved. 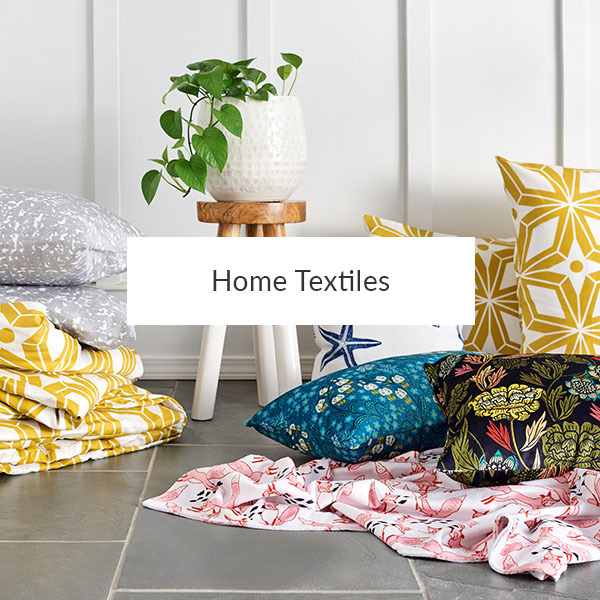 Great for projects such as tote bags that need to hold up to busy days, this 100% cotton upholstery-grade fabric is ready to take on your busiest days. We know you’ll love the texture created from the basketweave structure. Structured yet drapable, this versatile fabric is ideal for a lightweight zipper pouch that will stand up to everyday use. Are you tired of zipper pouches that look boring and bland? Get ready to turn up the style with a zipper pouch featuring the elegant shimmer found in Celosia Velvet™. This upholstery-grade fabric has a plush feel and durable construction that softens in the wash, which means you won’t have to jeopardize quality for style. 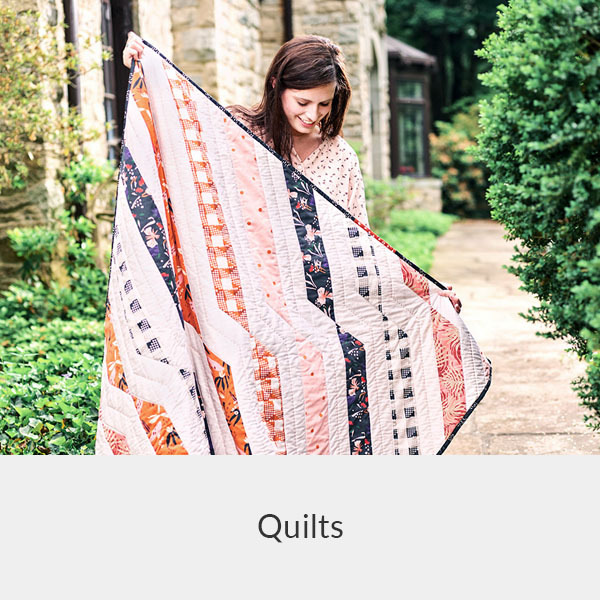 It’s safe to say Kona Cotton is every quilter’s dream thanks to its soft hand and simple combed cotton construction. Softening up over time, Kona may soon be your go-to quilting fabric (if it isn’t already!). Known for its soft hand and vivid luster, this organic option is a Spoonflower classic and a popular choice among the quilting community. Looking for a quilting-weight cotton that has a crisp, smooth hand? Cotton Poplin is easy to sew and softens up after washed. This breathable, textured fabric is perfect for swaddle blankets and is mom-approved thanks to the 100% organic cotton. Want to achieve the classic crinkle found in store-bought muslins? Just serge the edges and throw your fabric into the wash! 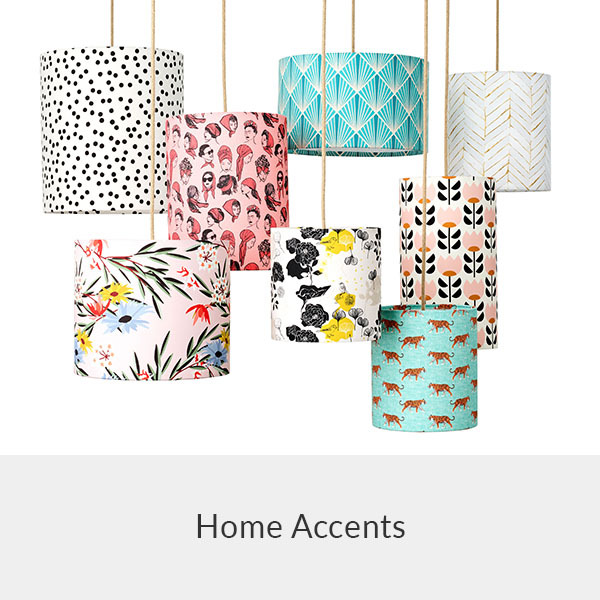 Are you ready to make a bold and bright statement in your living room with a custom-made lampshade? The sheen of Organic Cotton Sateen shines when used as a lampshade, plus the natural fibers won’t melt if your lightbulb gets hot! Do you want your lampshade to have a subtle texture for cozy, filtered light? Dogwood Denim’s 100% cotton twill fabric brings depth to designs with the iconic diagonal parallel ribs. Pro tip: If you’re working with a larger lampshade, go big with your design scale! Printing your family photos (or child’s artwork) on fabric to make budget-friendly wall art has never been easier. Linen Cotton Canvas has a 55% linen / 45% combed cotton construction and is great for wrapping around a wooden canvas. Does a trip to your local garden center result in a car filled to the brim with new greenery to add to your houseplant oasis? Our go-to fabric for plant baskets is the 100% cotton upholstery-grade Cypress Cotton Canvas. We’re loving the texture created from the basketweave structure, and the exceptional natural cotton is the perfect choice for custom accents for every room in the house. Looking for even more fabric options? Start with a $3 sample pack to get a feel for all of our available fabrics and don’t forget that you can always order your favorite designs on an 8″ x 8″ sample swatch.